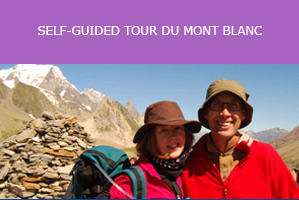 At Salamander Adventures, we have fun Tour du Mont Blanc packages suitable for family trips. Our self-guided trek affords you the opportunity to have an independent trekking experience with your family. Designed for a minimum of two, the self-guided plan allows you to spend 9 nights in hotels and 1 night at an auberge. You also have access to en-suite bathrooms. Family adventurers get to walk 165 km along the picturesque mountains with breath-taking views, charming settlements and beautiful alpine flowers. There is an in-built rest day so you can relax and appreciate the natural surroundings. There are several lovely spots along the walk for family picnics, or you may dine at one of the available little diners in the area. If you prefer, our guided tour offers trekking experiences that are led by experts who are internationally recognised mountain leaders. They have decades of experience in trekking tours and will ensure the safety conditions for every trekking party. You can also choose to extend your stay in Chamonix. We have comfortable hotels to accommodate hiking guests. Children are natural explorers and will easily be drawn to nature’s beauty. The beautiful thing about hiking is the learning experience. Be prepared to teach as you trek because you will most likely be besieged with questions. It’s a good thing- they will be learning. This goes for any hike. Whether you are with children or not, make sure you pack the 10 hiking essentials. Additional supplies include wet wipes, lip balm, binoculars, magnifying glass, camera and safety whistles for the children. Layers and more layers. Take ample clothing with you in case your child gets cold while trekking. Always bring along rain clothes- besides rain, they also protect the body from strong winds. Hats and gloves are necessary for everyone, even during summer as it can be chilly in the mornings. Get rugged leather boots for everyone on the team. Finally, get an extra set of clothes ready for your children. The key to a fun family hike is to keep everybody, especially the children, motivated and excited. Organise games you can play while out on a hike. Pack along a picnic. Encourage your children on how fit and brave they are- get them engaged by appointing hike leaders in turn. 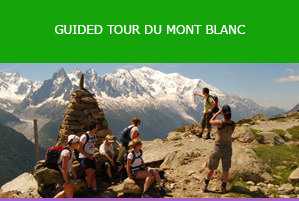 No doubt, your Tour du Mont Blanc is going to be a trip your family will never forget. We can make that happen for you, contact us for more details.